Eco Friendly Option is Backed by a 20 Year Residential Warranty. 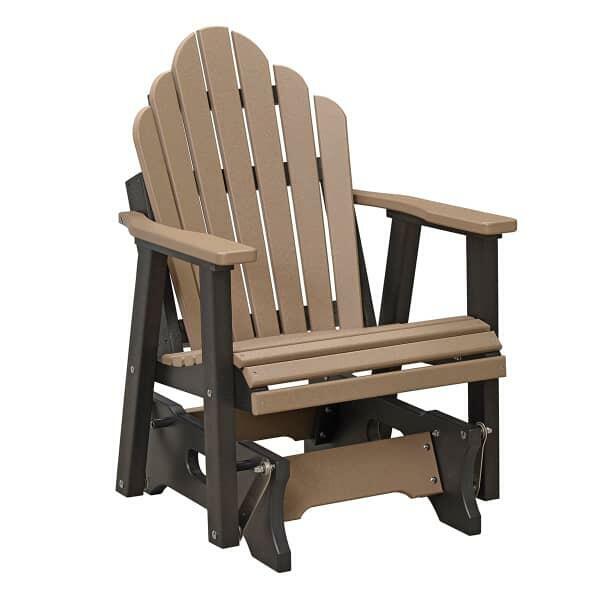 Berlin Gardens is a patio furniture company with a mission; to be good stewards of world around them. One of the ways they live this out is by crafting their products out of recycled plastic. The Cozi-Back Single Glider features their unique poly lumber in its construction; it is durable, fade, splinter, rot and water resistant and requires no maintenance to keep its gorgeous color. On top of all that, it is comfortable; you will find yourself enjoying the smooth glide all summer long. Crafted with Amish expertise, the Cozi-Back comes with an incredible 20 Year Residential Warranty! This fantastic chair is available in over 20 colors, from earth tones to tropical brights.